Sulky librarians, squeaking chairs, dusty tables, a maze of shelf-after-shelf of books, not to mention late fee, a bound timeframe and more—thanks to the proliferation of digitisation, all these may soon be a thing of the past. Welcome to the world of online libraries. This digitisation of books is bringing a treasure trove within our reach. Also, the very act of taking books online is doing a world of good to books that are on the edge of going out of print. They can be easily converted and stored digitally for future reference. Although books in their original and printed version are definitely unbeatable, the act of even reading on a screen, a phone or a tablet simply recreates one of the most beautiful human activities. And entrepreneurs are latching on to the growing demand. Bengaluru-based Suresh Narasimha, chairman of Just Books Solutions, who started his venture in 2017, says, “I began by acquiring a set of libraries that were operating under the same brand name. And today we service around 2,00,000 members.” Just Books has over 1.3 million books comprising fiction and non-fiction, for all ages from toddlers to adults. One of the market leaders today, thanks to its sheer size, the books on this platform are available in more than seven Indian languages, besides English. Customers subscribe to membership plans that entitle them to borrow a certain number of books at a time. They can exchange as many times they want and there is no late fee, and delivery and pick-up is free. The brand has also introduced the concept of Internet of Things-enabled mobile vans where a van with books will drive in to residential localities. For Gurugram-based Riticka Srivastav, who launched Book Thela in 2017 just after finishing her bachelor’s degree, the idea came from the fact that as a college student on a shoe string budget, she had to travel to far-off places to buy cheap second-hand books. Then she would rummage through piles of books before she could find the title she was looking for. “My father, who is an author himself, suggested that I sell used and second-hand books online. He knew about my passion for books and entrepreneurship and encouraged me to follow my dreams. This is when I realised I could mould my business idea around this problem and provide a solution for all the bibliophiles out there.” Today with a customer base of more than 10,000 and approximately 2,000 books in her collection ranging from fiction, non-fiction, children’s books to library editions, Riticka believes feedback from customers is of utmost importance. The starting price of books on Book Thela is just `49, which make them affordable and accessible to everyone. 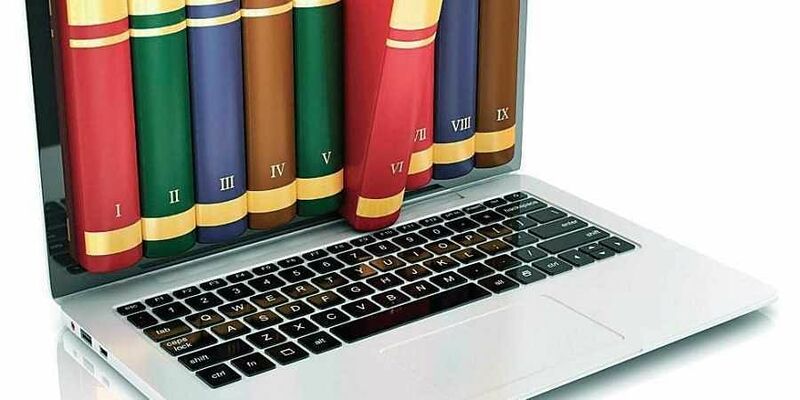 Kolkata-based Vikash Khandelwal was one of the early entrants into the online library business, when he started DoorstepBooks.com in 2009 with English, Hindi and Bengali books. “Today we have over 10,000 members and as many books. Earlier the practice of reading had started going down, but fortunately in the last three-four years, it has been on the rise again. And online libraries are definitely a growing trend.” Vikash is working towards increasing more retail members and adding corporate clients. Riticka, too, agrees with Vikash on online libraries being a growing trend. She says that people today want to buy as many books as possible for an X amount instead of buying one brand new book for the same amount. Needless to say, big players like Amazon have also introduced a used book section to cater to people who want to spend less and get more books. Suresh sums up, “Reading today is driven by a lot of factors, including increased travel time. Books ensure much better concentration and mental health for adults as well as the kids. Most parents understand it and are looking for ways to move the children away from electronic gadgets.” So, next time you feel like reading, you know it’s all just a click away.